There are several types of migraine headaches, but most are characterised by severe pain on one or both sides of the head, nausea, visual disturbances, dizziness and other sysmptons. Doctors believe that migraines are caused by the dilation and restriction of the blood vessels in the head. 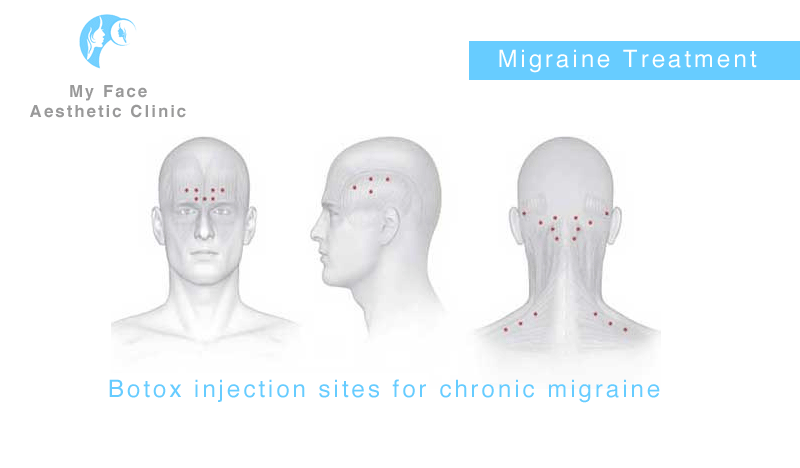 Treating chronic migraine, qualified medical specialists administer 31 Botox injections into seven specific head and neck sites. Botox, when injected at labeled doses in recommended areas, is expected to produce results lasting up to three months depending on the individual patient. The FDA has approved Botox to prevent migraines, the FDA's trials of Botox to fight migraines was based on the results of two studies involving 1,384 adults in North America and Europe. Published in 2012 the repor stated t that patients treated with Botox experienced a major decrease in the frequency of headache days, according to the Allergan statement.